We love luxurious cars that don't carry the luxury brand tax. In the US market, it's fairly uncommon for a non-luxury brand to sell a car that competes in the same category as the established luxury automakers. We've seen performance cars creep into the luxury price range before, but American consumers typically want their luxury car to come with a luxury badge. We like to put a car's merit over its badge, so we enjoy luxury cars from non-luxury brands that come with a discounted price. We wanted to put the Genesis or Equus on this list, but Hyundai changed them to the G80 and G90 in the new Genesis brand. The Volkswagen Phaeton might be the greatest car to ever be built by a non-luxury automaker. The car was the dream project of then Volkswagen CEO Ferdinand Piech right before he retired. Piech envisioned building the greatest car in the world, and it is hard to argue with the results. The Phaeton was powered by either a 4.2-liter V8 with 335 hp or 6.0-liter W12 with 420 hp. There was also a 5.0-liter V10 diesel version in Europe, as well as several V6 variants. The Phaeton's platform was so good that it's still being used in the Bentley Continental GT. The Phaeton may have said VW on it, but the underpinnings were good enough for Bentley to use. We didn't include the Hyundai Genesis or Equus on this list because they have both recently been turned into luxury-branded cars in the Genesis lineup. We did however include the Kia K900, which continues to be sold under a non-luxury brand. The K900 is available with either a 311-hp 3.8-liter V6 or 5.0-liter V8 rated at 420 hp. 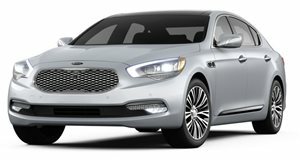 Pricing starts from about $60,000, which sounds like a lot for a Kia. Still, the car does come with luxury that can rival an S-Class but at half the price. We tested the K900 and found it to be a great car to drive. Unfortunately, due to its less than stellar badge, it tends to depreciate a lot. We would definitely recommend picking up a used K900 for less than $30,000. While it was certainly not designed to be a luxury car, the Jeep Grand Cherokee is an extremely nice SUV for well-off families. Compared to something like a BMW X5, the Grand Cherokee is a bit rough around the edges. Still, the Jeep has plenty of tech toys that make it more advanced than many of the lower-priced luxury SUVs like the BMW X3 and Audi Q5. 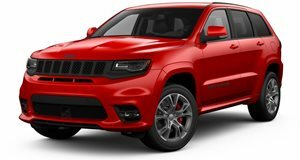 The Grand Cherokee costs less than these luxury SUVs and can even keep up with the quickest performance versions from AMG and M with the upcoming 707 hp Trackhawk Version. The Grand Cherokee is still based on a old Mercedes platform, so it does have a little bit of luxury DNA its system. People outside of Japan have probably never heard of the Toyota Century. The Century was Toyota's flagship model in the Japanese market sold from 1967 all the way until 2016. Despite living for so long, the Century only went through two generations, with the first generation lasting until 1997. That's when Toyota introduced the second generation Century, which was powered by a 5.0-liter 1GZ-FE V12 engine. This engine produced 276 hp with a four-speed automatic, increasing to 305 hp with a six-speed later on. This remains the only V12 that Toyota has ever produced, and it is one of the smoothest running engines in the world. It hardly emits a sound at idle. 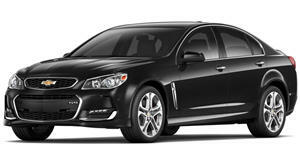 The Chevrolet SS is another non-luxury that has enough comfort to be considered above the base cars from many luxury automakers. On a base BMW 3 Series, things like navigation and remote keyless entry are optional extras. On the SS, they are offered as standard. The 3 Series isn't even available with ventilated seats, which come standard on the SS. Like most of the cars on this list, the SS is a bit rough for typical luxury car shoppers. The interior is filled with gaudy chrome, but we wish that people could get past that and see what a great car this is. The SS comes with a 415-hp V8 that trumps almost any luxury car in its price range, and that has to count for something.